Hi guys, hope you are all doing well! It appears that I have come down with the flu or something, boo! 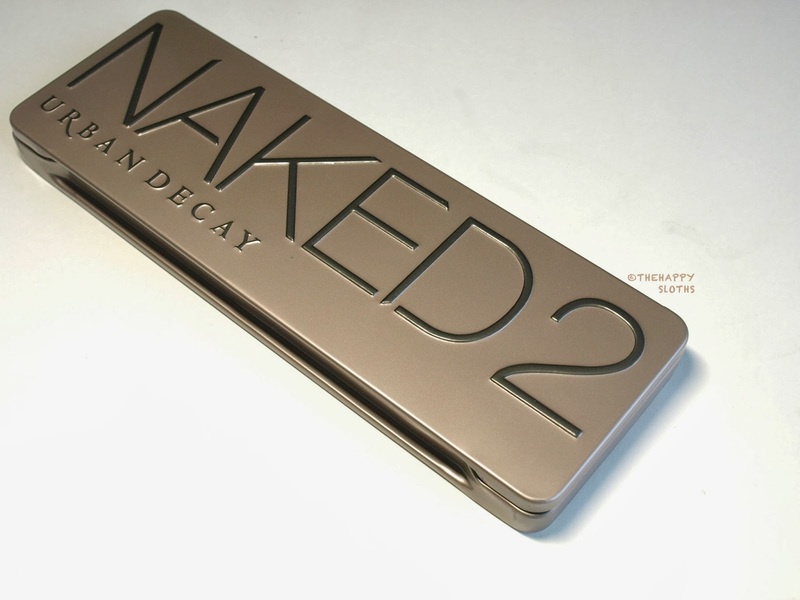 But since I reviewed my Naked 3 Palette I thought that I might as well swatch and review my Naked 2 Eyeshadow Palette ($52) so I will have a post on it that can permanently remain on the blogosphere for my descendants to appreciate. Housed in a sleek metal palette, the Naked 2 Eyeshadow palette contains 12 neutral eyeshadows and comes with a double ended eyeshadow brush and a mini travel sized "Naked" lip gloss (not pictured, I think I gave mine away). Compared to the Naked 3 Palette which has a overall rose gold color scheme and the Naked 1 Palette which had a warm brown color scheme, the Naked 2 Palette has a taupe color scheme, with a few exceptions (ex. Half-baked, Chopper, Bootycall). 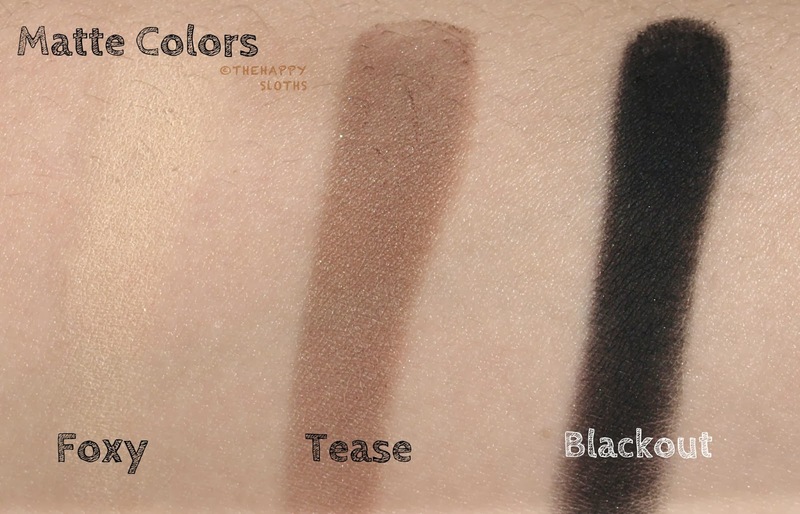 The matte colors varied in their pigmentation. I found "Foxy" to be a tad chalky and hard to apply. "Tease" I like because it makes for a great blending color and "Blackout" felt very dry and chalky, this one definitely needs a good primer to show up on the lid. 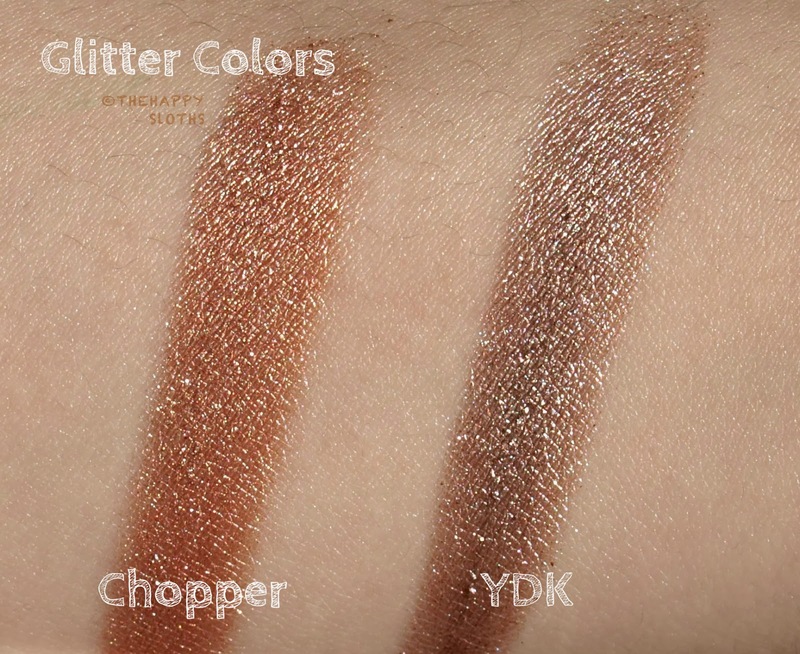 Chopper and YDK are two colors that had bits of larger glitters in them. I am not extremely fond of them because I don't like the fallout. Even though I can clean up the mess with some scotch tape, I'd still rather not go through the trouble especially if I am in a rush. Next up are all the shimmers. I feel no need to review each shade by itself as they are all very pigmented, smooth, and buttery. Just looking at the swatches makes me giddy. Overall this is an amazing palette and one that I reach for the most out of my whole collection. I like the cool tone neutral brown looks I can do with this and it really has all the colors I need to create a simple everyday look. So that's my super short review, I strongly recommend this palette, perhaps even over the Naked 3 Palette because I feel like all the colors in here are unique and there are some very complementary trios that makes for very easy five-minute-running-out-of-the-door looks. Do you own the Naked 2 Palette? How do you like it compared to Naked 1 or Naked 3? Let me know in the comments below, I love to hear what you think!